← Islamic Emirate: What will America achieve with 300 extra troops? 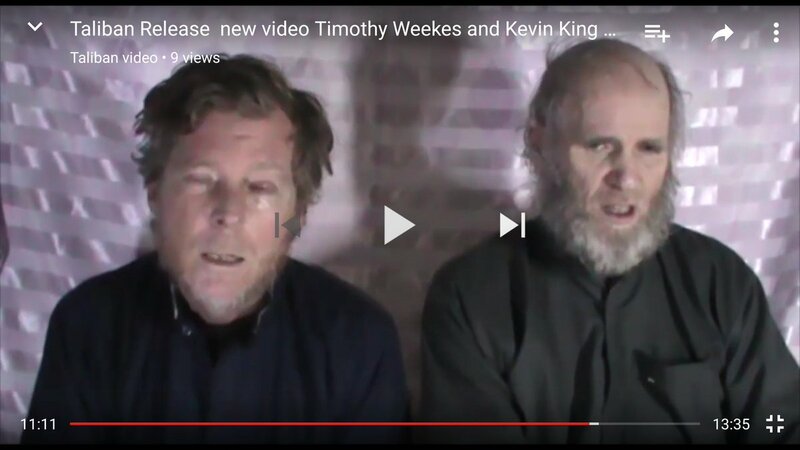 Last year on 7th August 2016, two professors of a university of American invaders – Kevin King an American and Timothy Weeks an Australian – were captured by the Mujahideen of Islamic Emirate in Kabul and later moved to a secure location. The Islamic Emirate wants to deliver the videos of these detained invaders to their respective countries so their people understand that their governments will not listen to the reasonable and easy demands of the Mujahideen for the release of their citizens, will not take steps regarding the release of our helpless detainees and seeks to use force to attain their objectives. However everyone must understand that the use of force can throw their prisoners into extreme danger. If the opposing side solves this issue rationally, there would have been no reason for the publication of a video.